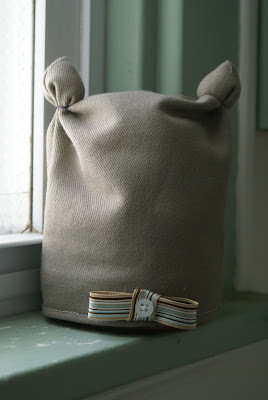 It's no secret that felt is my forever friend's favorite medium for her awesome creations. I've been working on a creation of my own. I thought it would be really fun and cute to make a portable puppet theatre for the kiddos. I'm all about inspiring the next generation to put down their video games and start using some of their own creativity to... well... create! A puppet theatre would do just the thing. So, the theatre is made, and now it needs some puppets. What better medium for cute, colorful puppets than..... felt! I made the trek to the not-so-local Hobby Lobby, where in I found a load of felt. I got what I needed and headed out to the parking lot... which is where I realized that the receipt said felt was 40% off! So, needless to say, I got me some more felt. Bring on the projects! Thanks, forever friend, for the inspiration. It's become more and more apparent to Randy and me that country living is kinda what we dream about. Nice quiet surroundings... maybe see a neighbor or two off in the distance... have as big of a garden as we want. And my sister-in-law just so happened to send this gem our way. I don't know what's better: the fact that it is a log house or that it sits on 6 acres! So cool! Needs a bit of updating, but we can work on that! 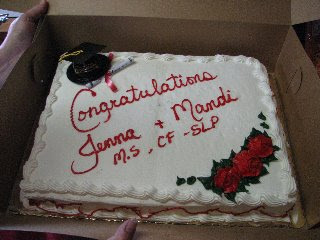 See it's official... the cake says so. Meet our next foster pug. His name is Charlie. He's 9-12 mths. old, and he's a sweetie. He was a stray in Georgia. He's a great boy... doesn't make any messes/markings inside. Poor thing has scabs on his back from an allergic reaction to flea bites, so we're giving him medication for that. Overall, I'd say we've been pretty lucky with the fostering. 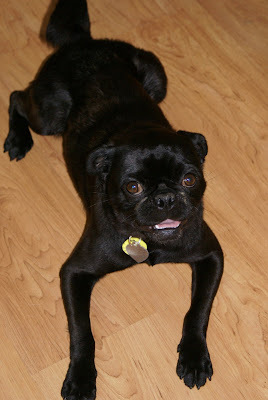 We've gotten nothing but great pugs (although, any pug is a great one...). We said goodbye to our first foster pug, Roscoe. He's a great dog going to a great family. I just hope they love his howl as much as we did. Sundays are my favorite days. I especially love the lazy type of Sundays when it's beautifully sunny, 70 degrees, and nothing on the "to-do" list. Yesterday was not that Sunday. Actually, this whole weekend left us feeling like we needed another weekend just to recover. Friday was a day of spending $$$. We went to Home Depot to buy materials for the last big backyard project: enclosing the deck underneath. We have a hilly yard, and our deck sits up quite high, so you can see all the rocks and junk that we throw under the deck. And since we are having a graduation party, what better inspiration to get everything looking decent. I must mention I don't necessarily like lattice, but what else is out there to use? Nothing. So, lattice it was. Sunday! The day that is supposed to be lazy. Nope. We have to trek to Jerseyville to pick up a tool from Randy's brother. And gee, the guys just happen to be playing softball that day, so Randy promptly changes clothes for 7 innings of glory (he went 4 for 4 with no errors... a career day for him). By the time softball was over (I said "no" to a second game), we headed back to Alton to begin some more projects for the graduation party that is in T minus 6 days. Q: What do you get when you cross two of my favorite things: pugs and sewing? A: A pug pin cushion, of course! Yep. That's what my mother-in-law asked me at my 3-year old niece's birthday party last Saturday. It's quite odd to me that she asked me of all people. She knows I'm liberal, by southern Illinois standards, and that I make my opinions known when asked (and sometimes when not asked... ahem). But, to humor her... I read the petition, and it made me sad to think that she would actively support something so terrible. From what I read, the petition sought to make sure homosexuals in Illinois never have the chance of marriage and equal rights as heterosexual couples. Now, I don't care on which side of the fence you stand. It doesn't matter where I stand. But when I'm asked to take an active part in denying other human beings their rights.... yikes. That's bigger than me. That's not my responsibility. Who am I to say that someone else shouldn't have the same rights as I enjoy. I guess my mother-in-law feels it is her duty, as a "good" Christian, to follow what she interprets the Bible is saying. And by doing so, she will be affecting people she doesn't even know. People who are, in her words, "the gays." That, to me, doesn't sound very Christianly. And it's people like her that make me cringe and hesitant to call myself Christian. Is that how you want people to look at your faith? No thanks. I will not sign your petition. Three words to describe my new favorite website. Awkward family photos. Go here to check out the whole site, but I've added just some of my favorites below. Randy and I have been writing our first collaborative rock song... and it's pretty darn good. Now all we have to do is quit our jobs and get signed by a major record label. No problem. Yep. That's a parade float that Randy helped make. Four years of theatre set building, and this is the result. Well, I must clarify. Randy's never built a float before, but he's experienced in building stuff from scratch with little or no financial backing. I've been told it includes lots of plywood, chicken wire, and paper. Scrapes and backaches are included, as well. The parade took place in Florissant, Missouri (where Randy works). The theme was "Florissant Goes to the Movies. So, his company decided to build a float depicting an old drive-in movie theater that used to be in Florissant. Apparently the drive-in had a very iconic red ball atop a gold tower, as it is depicted in the float (don't feel bad if you had no clue what it was, as I had to have it explained to me). While it wasn't an award winner, the float was still a success... considering no one had ever made a float before, and all the work was completed during work hours. All in all, a good effort.